What comes to mind when you think of the word 'summertime'? Sun, sea, beach, swimming, snorkelling, warm nights dancing...? Excellent! You can do all this and more, and what's even better - you can do it at a different place each day! 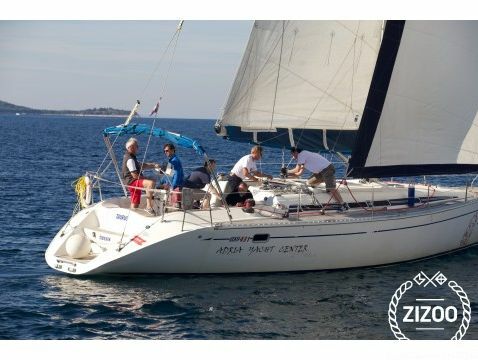 Taurus is an elegant Elan 431 whose classic design stands for durability and comfort, that will provide a most enjoyable stay onboard, both when riding the waves in the wind or enjoying some quiet down time in the evening. For those looking for an exciting night life, your base Vodice certainly won't disappoint. The long strip of bars and clubs along the beach will satisfy even the most demanding party goers. Kornati Archipelago islands offer plenty of places for a bit of swimming away from the crowds, and some peace and quiet you might need after a long night. So set her sails and see what's out there! Requested 53 times this week!